If it were Stevens (not D. Rivers), the KG/PP era would have had more titles! Re: If it were Stevens (not D. Rivers), the KG/PP era would have had more titles! We would've won for sure in 2012. 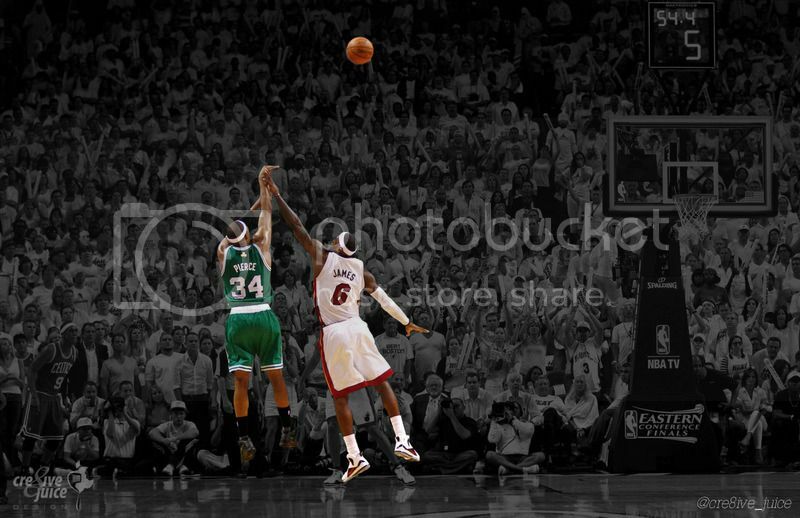 Up 3-2 after Paul Pierce's classic "in-your-face" 3-pointer against LeBron James at American Airlines Arena (as my sig below is stated), the Celtics could have taken care of business in Game 6 with Brad Stevens. If not, CBS would have adjusted hard for Game 7. Then this old-washed up Celtics team would have given Durant/Westbrook/Harden some fits in the Finals. What championship would we have won besides 2008, whether the coach be Doc, Stevens, Pop, Jackson, or Red himself? IF Danny Boy had not traded Kendrick Perkins, we were headed to the Finals and would have beaten Dallas. That team was healthy and beyond motivated from the sting of 2010. I will never forgive Danny for that stupid trade. He thought we needed to become more athletic to keep up with LeBron & Co. when the truth was we had the only antidote in the league back then because of our power on the inside and our toughness, physically and mentally. No. A hobbled Perkins wouldn't win us that year. What we needed was a healthy Shaq. We were dominant with Shaq playing and Perk injured. Perkins was half the player he was after his injury. Fans have been ignoring it, but if you watch carefully, Perk's mobility wasn't the same. I myself had been in denial at that time. but even with his improved physique you can see the difference. Maybe. I never thought coaching was the issue. It was more of unfortunate luck of injuries and some other things . That is more of a testament to Danny's brilliance and Clippers stupidity than anything else. Doc is a celebrity media styled coach of egos. Not a coach in the traditional sense. His own ego , gets in his way more than any lackk of court coaching skill. KG and PP managed to win anyway. now that CBs has some experience, i think he could have done as well during those years of KG. why is this thread in Celtics History. Who exactly is the Celtic great we are discussing here. Surely cannot be Rivers.